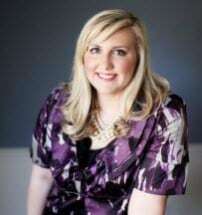 Hilary is a founding partner of Lancaster and St. Louis, PLLC. Practicing in Cabarrus County and throughout eastern/central NC, she has focused her practice on family law, personal injury law and small business law. In her family law work, Hilary's goal is to tailor her advocacy to the needs of each individual client. As a mother herself, Hilary understands that the consequences of a legal dispute involving children can have lasting impacts upon those involved. Her goal is to stabilize families and promote fair, reasonable outcomes. She strongly encourages resolving disputes amicably whenever possible; if necessary, however, she has the experience and skill to assert the best interests of her clients and their children in court. Through her representation of injury victims, Hilary has recovered fair and necessary compensation from some of the nation's leading healthcare systems, including nationwide pharmacy chains and numerous insurance companies. She works with a legal nurse consultant to assess and prepare her cases, ensuring her clients' claims are backed with professional medical insight and thereby maximizing the chances of success. As a founding partner of a woman-owned law firm, she has found passion in helping small business owners plan, form and operate their enterprises. She advises clients during business disputes and works hard to protect the interests of the business owners she represents. Previously in her career, Hilary has worked at a large regional law firm, worked for a solo practitioner, and worked in education lobbying. This diverse range of experience has strengthened her ability to determine how to best solve problems facing her clients. In her free time, Hilary enjoys spending time with her husband, David, an engineer, and their two young sons, Griffin, and Elliot, and their golden retriever, Millie. She is an avid reader and news junkie, dabbles in interior design, follows sports (Go Pack!) and also enjoys time spent on Lake Norman with her family and friends.